The Audubon Society of Greater Denver sued the Army Corps of Engineers in 2014, claiming the corps failed to choose a less environmentally damaging alternative. “The record and the state show that the most environmentally damaging plan was chosen,” said attorney Kevin Lynch with the University of Denver Sturm College of Law, representing the Audubon Society during oral arguments at the 10th Circuit on Monday. In order to meet federal regulations, Lynch said the corps evaluated the full reallocation project under the National Environmental Policy Act (NEPA), and then misapplied the Clean Water Act to assess only alternative plans for environmental mitigation. Lynch said both NEPA and the Clean Water Act need to be applied to the full project. U.S. Attorney Sommer Eagle confirmed the Clean Water Act was applied only to consider discharge from the mitigation efforts rather than the full project. When U.S. District Judge Philip A. Brimmer issued final judgment in favor of the corps in December 2017, he found no issue with this reading of the law. Matheson said the panel would comb through the law to determine whether “project” under the Clean Water Act means the full construction or can refer to parts of it. Other project alternatives passed over by the Army Corps of Engineers included expanding other water reserves, increasing groundwater storage, using readily available offsite gravel pits directly adjacent to the park, and a “no-action alternative relying on Penley Reservoir” coupled with increased water conversation efforts. Chief Circuit Judge Mary Beck Briscoe was not impressed by the suggestion that better water conservation would solve metropolitan Denver’s increasing demand. “Would that have been something that would have been effective? You hope that this week people do better, but next week maybe they won’t?” Briscoe challenged. Construction on the Chatfield Storage Reallocation Project is expected to be completed by 2020. Although construction has commenced on the western edge of the lake, activists still hope for a decision that would protect the Plum Creek Nature Area. U.S. Circuit Judge Carlos Lucero also sat on the panel. The judges did not indicate when they would reach a decision. “Swim, or hike, or watch birds, if you have a boat you can go boating,” said Polly [Reetz]. Yet the couple fears a construction project to build additional areas to hold water will ruin the place in the near future. It’s a project that supporters argue is necessary in order to store water in a state that is in the midst of a population boom and a drought. “I think aesthetically, it’s going to be a very different kind of park with mud flats instead of this rich riparian vegetation,” said Gene. Along with the Audubon Society, they fear that by getting rid of the green space around the reservoir, all of nature will be hurt… including the animals. “When you destroy the habitat, or alter it, so that it’s no longer usable for them, there really isn’t any other place to go, because other areas are already full too,” said Polly. Which is why the Audubon society has gone to court. They want a judge to throw out a previous decision allowing the project to move forward, saying among other things, that it violates the Clean Water Act. A hearing will take place in September. “Audubon recognizes the region is growing, and so were not against developing additional water supplies,” said Gene [Reetz]. He is pushing for more water conservation and alternative storage sites other than Chatfield. The South Platte River flood of 1965 led to the construction of Littleton’s popular water recreation destination. 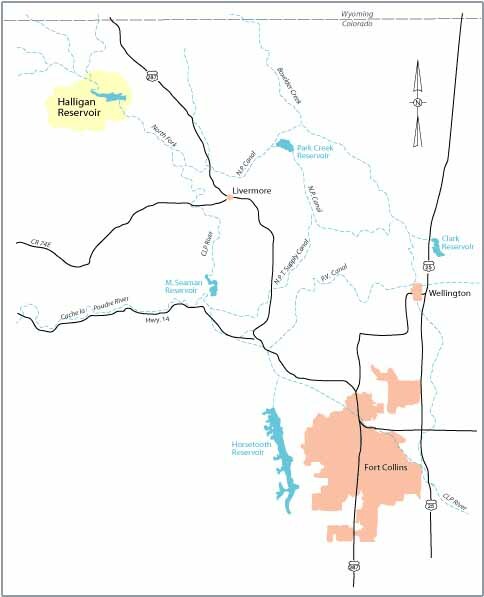 Representatives for the Chatfield Storage Reallocation Project will host an open house from 5:30-7:30 p.m. Sept. 6 in the cafeteria at Valley High School, 1001 Birch St. in Gilcrest. 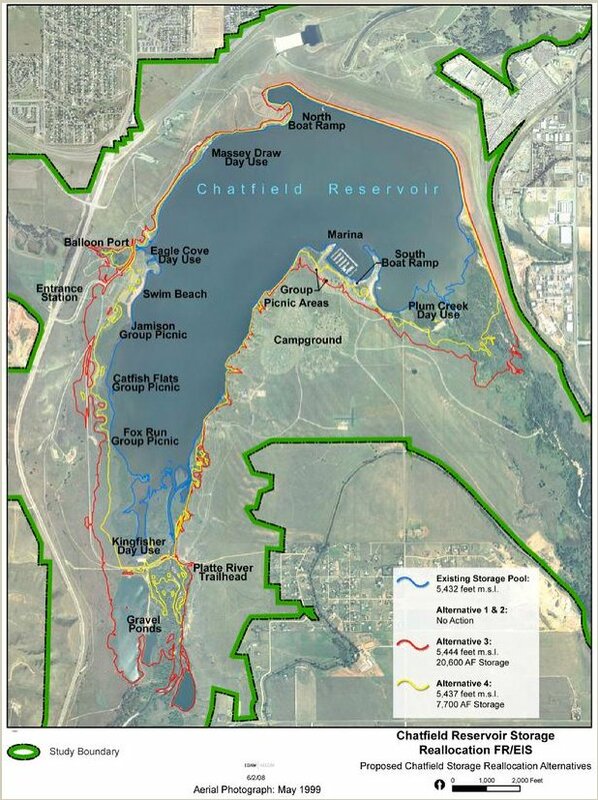 Final designs for the recreational facilities changes and environmental mitigation projects for Chatfield Reservoir and the surrounding Chatfield State Park will be on display. Another display will show the agricultural benefits of the project, according to a release issued Saturday from the Chatfield Mitigation Co. The workings of the environmental pool to help time releases of the stored water also will be illustrated with a display. The $134 million project will allow Chatfield to store up to 20,600-acre feet of additional water. 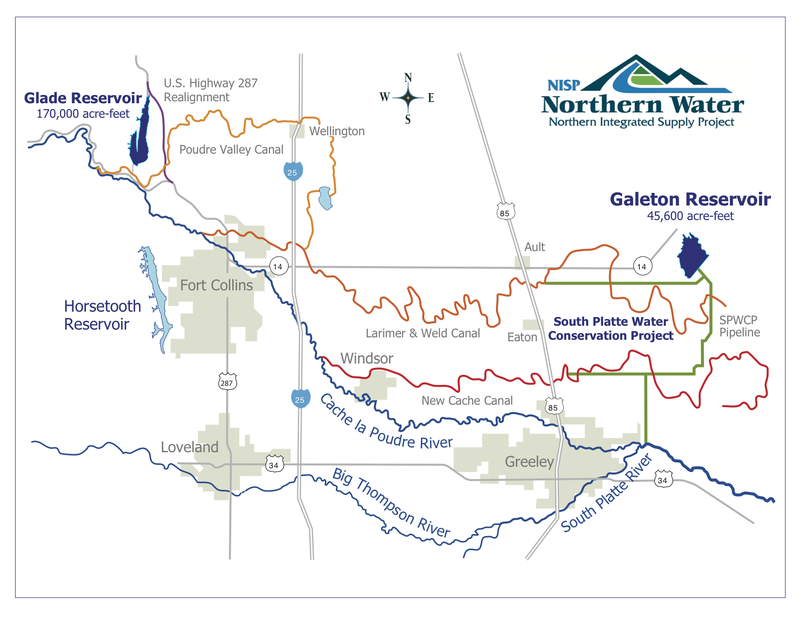 Representatives from consultant firms working on the designs, the U.S. Army Corps of Engineers, Colorado Water Conservation Board, Colorado Parks and Wildlife and the participating water districts all will be there to answer questions. After more than a decade of discussion and planning, the Chatfield Storage Reallocation Project is set to begin later this year. The more than two-year construction effort will prepare the reservoir to accommodate an additional 20,600 acre feet of water to meet a variety of municipal, agricultural and industrial needs. Currently, the reservoir holds about 27,000 acre feet of water. Eventually it will hold up to another 20,600 acre feet of water and the the water level could rise as much as 12 vertical feet, officials said. Beginning in winter and continuing through spring, the swim beach and north boat ramp will be reconstructed to accommodate the future shoreline. By the end of 2019, many other features of the park, including the marina, day use areas and South Platte bridge will be visited by construction crews and earth movers. 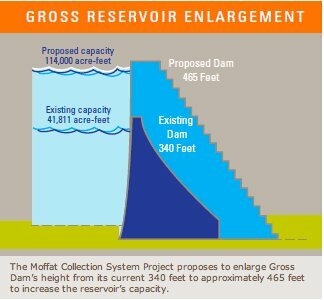 The project will cost an estimated $160 million, said Tim Feehan, general manager of the Chatfield Reservoir Mitigation Co., whose eight partners — including Castle Rock, Centennial Water and Sanitation District and the Castle Pines Metropolitan District — will pay that tab in proportion to the amount of water storage each will be granted. Of that, $140 million has already been set aside in escrow. Groundbreaking awaits final design approval from the Army Corps of Engineers, which built, owns and leases the reservoir to Colorado Parks and Wildlife for recreational use, Roush said. 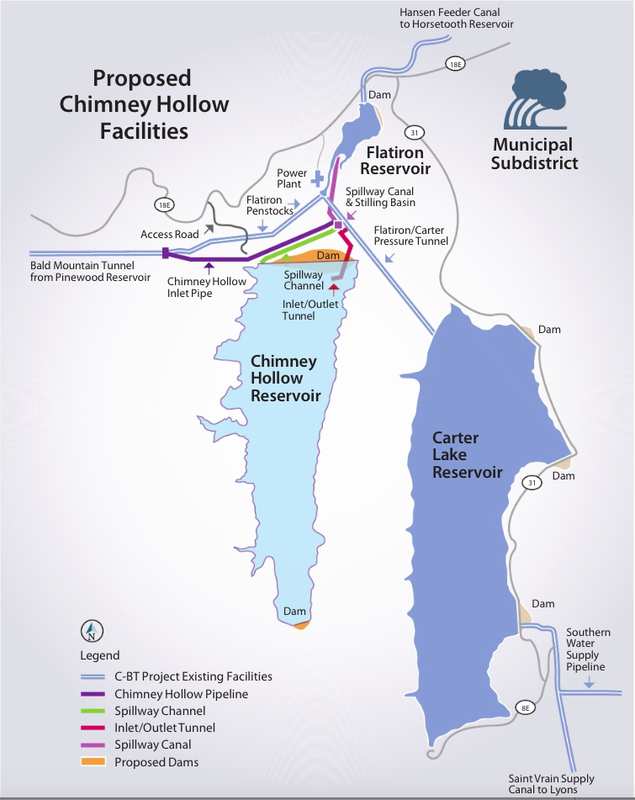 Preliminary designs and a tentative construction schedule are available online at Chatfieldreallocation.org, a project website created by Chatfield Reservoir Mitigation Co. The swim beach is scheduled to close for reconstruction in late fall and reopen for use by Memorial Day weekend 2018. The beach and park perimeter road will be moved to the west, away from the present shoreline, to accommodate greater water fluctuations, effectively creating another 200 feet of beach area at low water. The parking lot will be expanded and the shower, restrooms and other features will be rebuilt. The north boat ramp also is scheduled to reopen to use by next Memorial Day weekend.